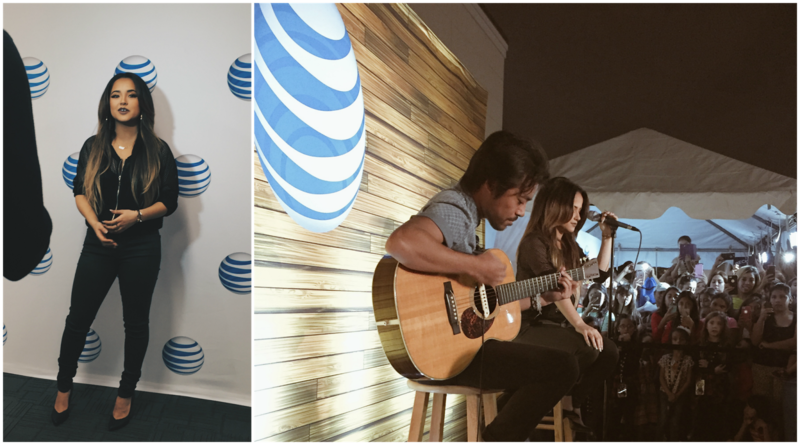 I recently had the chance to attend Becky G's AT&T appearance right here in Houston. I saw her on Empire as Valentina and holy smokes, she's the polar opposite! She's down to earth and silly with an incredible amount of talent. Did you know she can rap? Yes, she totally flowed for us. It was nice to see a young, female Latina doing big things & still keeping it real. She talked to us about how she was discovered on Youtube doing cover songs. I had no idea! I also had no idea that she'll be the Yellow Ranger in the upcoming Power Rangers movie! I mean, she's doing all sorts of things!! The event was held at the AT&T store on 6906 Southwest Freeway and included Hot 95.7 FM & two food trucks! Becky G would sing for us, tell us about this fun new contest and do an entertaining Q&A with the fans! Before we went backstage we were given food tickets to be used at Los Tacos Hermanos & Coreanos. I've had Coreanos quite a few times (noms!) but was feeling tacos so I hit Los Tacos Hermanos up and am now a big fan! Let's talk about this contest, Becky G teamed up with AT&T and they want you to cover her song You Love It in a 30 second video. 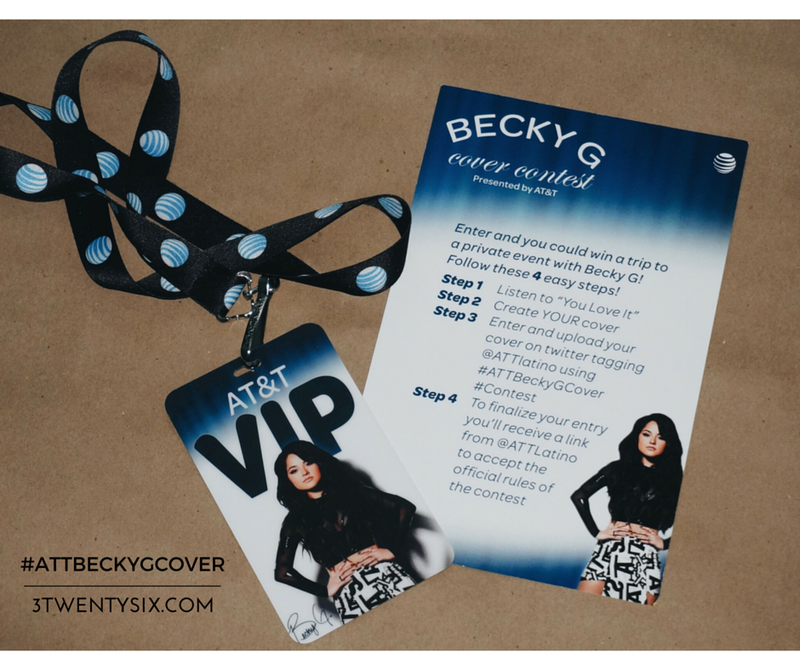 The lucky winner chosen by Becky G, will be flown out to meet her while she's on her U.S. music tour this fall. Yes!! For Becky G, this experience is also about celebrating her personal journey. Remember that the singer began her career by recording cover songs on YouTube less than 5 years ago. K, so go upload your version of Becky G's new song You Love It on Twitter, tag @ATTLatino and use #ATTBeckyGCover and #Contest. If you don't use the hashtags or the tag, you won't be entered in this contest. Becky G sang for her Beasters! and answered some pretty crucial questions like Will you go to Prom with me?, Who are you dating? and even did a video for a fan's mother so that she could buy her daughter a car! The energy and love that Becky G shared with her fans that night was amazing to watch! 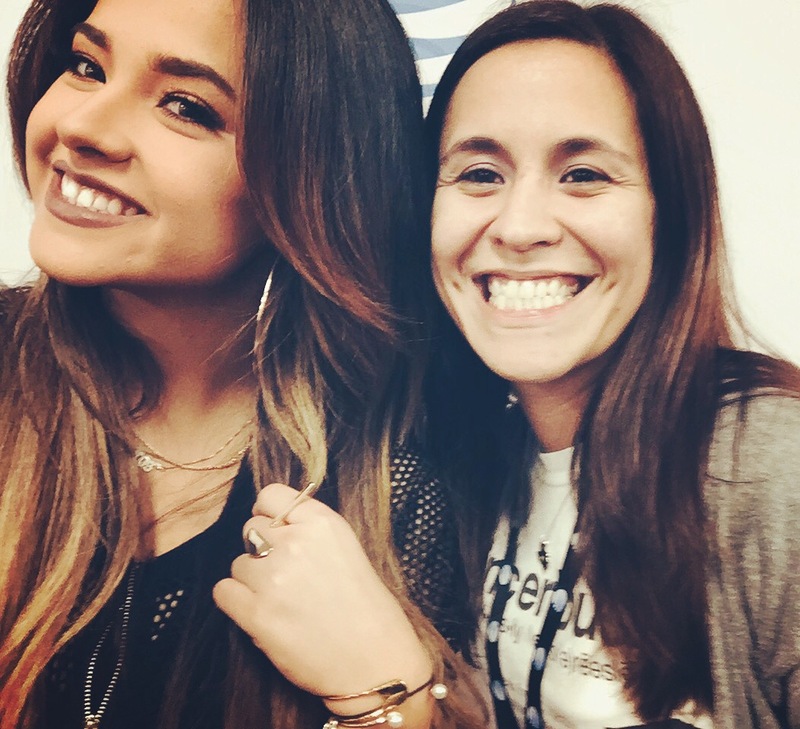 Thank you Becky G and ATT Latino for allowing me to be a part of this event! Oh, and the fantastical swag bag!! Good luck to all contestants! Follow Becky G on Twitter @iambeckyg and Facebook. Follow ATT Latino on Twitter @ATTLatino and Facebook. **NO PURCHASE NECESSARY. Open to U.S. citizens and U.S. resident aliens physically located in and legal residents of the contiguous 48 United States or DC (excl. Alaska and Hawaii), at least 18 years of age (19 in AL and NE, 21 in MS). Submission period starts 7:00 AM CT October 29, 2015 and ends 11:59 PM CT November 22, 2015. Only entrants who post elig. entries will receive a reply msg from @ATTLatino. Must respond to msg from @ATTLatino with completed entry form in order to confirm your entry. Subject to Official Rules, available at att-fz.us/beckyg1. For entry requirements, judging criteria and prize descriptions see Official Rules. Data charges may apply. Sponsor: AT&T Mobility LLC. VOID IN AK, HI AND WHERE PROHIBITED BY LAW. Sounds like you had an amazing time! A Latina artist, great food and good music, nice. Wish I could sing I will spare everyone but good luck to all! It was mucho fun & we totally missed ya! !